Due to the natural process of building a tolerance, over time, a person will require a higher volume of benzodiazepines to reach the familiar high. When the abuse stops or the familiar dose is significantly cut down, withdrawal symptoms will emerge. Benzodiazepine withdrawal can be particularly dangerous and even life-threatening. Undergoing medical detox under the direct care of a doctor is generally advised. The sedative is taken in a higher volume or over a longer time period than first intended. Considerable time is spent getting the drug, using it, and recovering from its effects. When the drug is not in a person’s system, the person experiences withdrawal, which can include cravings for the drug. Over time, more of the drug is needed to achieve the familiar desired effects (i.e., tolerance). The person experiences impaired performance at home, work, or school due to the drug’s effects. The sedative effect of these drugs, as well as their addiction-forming chemical properties, makes them ripe for abuse. Since these are prescription drugs, it is critical to note that some individuals may initially have a legitimate medical reason to use them, but over time, they develop a use disorder. If a patient who has a prescription for a benzodiazepine follows their doctor’s orders, a use disorder will not likely set in. But if a use disorder does arise, there are different ways people go about getting the volume they need (discussed below). Legitimate doctors will not overprescribe these medications. 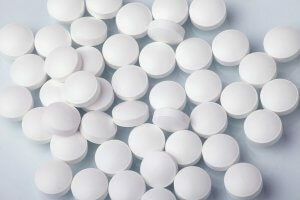 Individuals who are concerned that someone they know or love is abusing benzodiazepines should keep in mind that although these drugs are legally manufactured and prescribed by doctors, they are acutely addictive and available for sale on the street. As discussed, the development of tolerance to benzodiazepines is a medical condition, known as physical dependence. Tolerance is the process by which the brain becomes increasingly accustomed to the drug and, for this reason, requires more of it in order for the person to get the familiar high. When the brain does not get its familiar dose, because the person is abstaining or reducing the familiar amount, withdrawal is triggered. Withdrawal from benzodiazepines is considered to be particularly dangerous, and in some instances, it can be fatal. For instance, seizures are a symptom of withdrawal. A person who is concerned with a loved one’s benzodiazepine abuse may not be able to pinpoint whether the signs they are seeing are symptoms that are emerging as a result of drug use or because of withdrawal. People who want to help may feel unsure and not know whether what they are seeing is a dangerous symptom or a common one. Ideally, the person who used the benzodiazepine would disclose important facts, such as the amount recently taken. If any serious symptoms emerge (such as the overdose symptoms discussed above) the best practice is to seek immediate help, which can include going to a local emergency room or contacting a doctor. The person withdraws from friends, family, and obligations in order to use the drug. From a place of fear of being without the drug, the person ensures that an adequate supply is maintained at home. The person does uncharacteristic things to be able to pay for the drug, such as borrowing money, stealing, draining bank accounts, or maxing out credit cards. The person engages in risky activities, such as driving, after using the drug. The person spends an increasing amount of time and energy on different facets of drug abuse. The person exhibits a reduction in effort to maintain hygiene or grooming (i.e., the person may begin to look disheveled). The person is uncharacteristically secretive about daily schedule and/or tells lies to protect the substance abuse. Shifts in mood or personality are experienced. Behaviors around drug abuse relate to different facets of drug use, including how the person administers the drug. Typically, benzodiazepines are swallowed. According to feedback from individuals who tried to crush, cook, and inject benzodiazepines, they do not appear to be injectable drugs. There may be very little paraphernalia associated with benzodiazepine abuse. Since benzodiazepines are prescription drugs, some individuals who have a sedative use disorder will get a high volume of this drug by “doctor shopping.” Getting a few prescriptions from different doctors can occur, and individuals will have to fill these prescriptions at different pharmacies. Prescription bottles and their labels will reveal if an individual has different prescriptions from different doctors, filled by different pharmacies within the same timeframe. Benzodiazepines can also be obtained from people who are not drug dealers – friends, a friend of a friend, coworkers, or family members may share or sell their pills. Benzodiazepines can also be purchased on the street. Purchase at the street level carries specific dangers. For instance, when drug sellers do not have benzodiazepines available, they may offer other dangerous drugs to the person, which can lead to polydrug abuse. Also, whenever a substance is purchased on the street, users never truly know what they are buying, as substances are not tested or verified. As mentioned earlier, benzodiazepine abuse alone does not typically result in death (though withdrawal can be life-threatening). However, it appears that many people take benzodiazepines with alcohol, and this combination can be deadly. Addiction professionals agree that the best practice for individuals seeking to stop using benzodiazepines is to be weaned off these drugs during a medically supervised detox process. Although benzodiazepines may not at first blush seem like a dangerous drug, they are. These drugs are highly addictive, but with the right help, recovery is possible.